Secure a permit. All gas-fired appliances, even like-for-like replacements, require a permit under the Uniform Plumbing Code or the International Plumbing Code, which advances public safety through stringent standards and ensures proper installation—including a safe location, a temperature and pressure relief valve that has an attached drainpipe, and a full-flow shut-off valve on the cold-water inlet. Important to note is that the code requirements for gas water heaters are highly technical, and in our opinion, best and most safely met through the use of a plumbing professional during the installation process. Select a unit that is suited to your present needs and the space it will occupy. Your old tank may not be appropriate for your current needs or meet current code, so be prepared to do some research. You will have to balance the preferred capacity of your new water heater to the area it will occupy, i.e., conforming to clearance requirements and access to existing gas lines. Drain the tank and turn on a hot water faucet to allow air into the system. Disconnect the gas line and the water line. You will disconnect the lines at different locations, depending on whether the pipe is galvanized metal or copper. Disconnect the water lines above the tank. If the pipes have been soldered, cut with a hacksaw or tubing cutter, and take care to cut straight. Detach the gas exhaust from the flue hat. Remove the old tank. Remember, it is bulky and heavy—you will need help, especially if it must go up a flight of stairs. Dispose of the old tank according to your local regulations. Set the new water heater in place. Use extreme caution when positioning the unit. Allow at least six inches of clearance on all sides and unobstructed access. Position the unit on a drain pan. Ensure the new unit is level, using shims if necessary. Reattach the flue hat to the gas exhaust vent. Wrap the water heater heat trap fitting pipe threads.These fittings are directional and must be installed properly. Open the water line after measuring, cutting and fitting the connections to the proper length. Reconnect the gas supply line. Open the gas supply valve and turn the main water supply on. Turn on the water at the tank, then turn on one or more household faucets to bleed air out of the system. Test the gas line for leaks. Refit the connections if there is a leak. Turn the control panel on. Set the temperature to 120 degrees Fahrenheit. Test and retest for leaks and for the proper venting of gases. As you can see, it’s a complicated process involving planning, a good understanding of your own requirements and compliance issues, obtaining permits, potentially dangerous materials and safe disposal practices, plus a lot of strength and plumbing know-how. There is a good visual step-by-step guide on Family Handyman, take a look here. 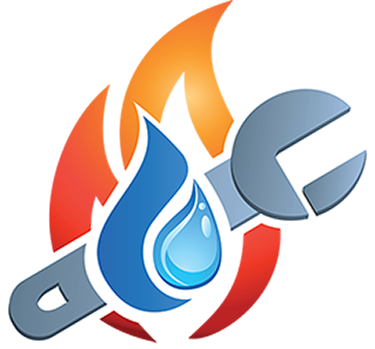 A professional plumber has the knowledge, tools, experience and insights needed to help you decide what model/capacity you need, and then get the job done efficiently and safely.